Its hospitals are battered, residents heavily dependent on aid and escape routes to neighbouring Turkey sealed. If attacked by government forces, Syria's rebel-held Idlib is poised for a humanitarian calamity. The northwestern province, which lies along the border with Turkey, has been held since 2015 by the jihadist-led Hayat Tahrir al-Sham alliance and other rival rebels. 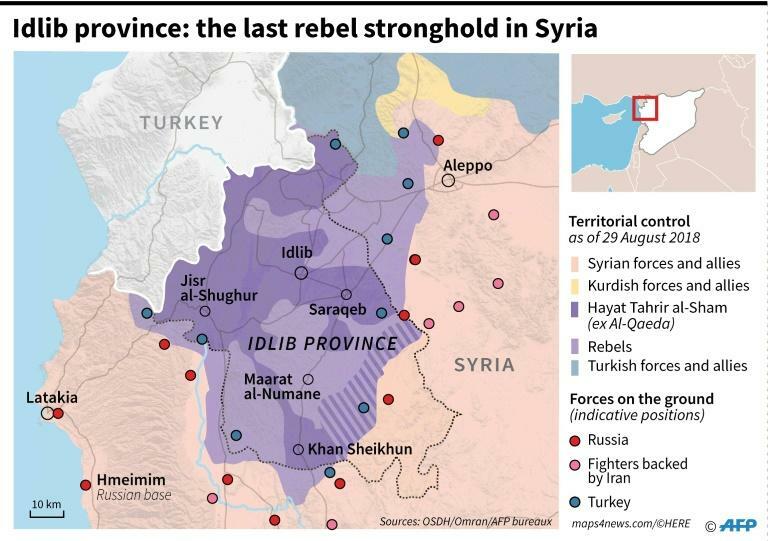 Idlib and slivers of adjacent provinces form the largest remaining block of rebel territory -- and the next expected target of Syrian President Bashar al-Assad's troops and their Russian allies. But a military assault could overwhelm already struggling health facilities, cut off food and medical supplies to desperate civilians, and prompt massive levels of displacement, the United Nations has warned. UN chief Antonio Guterres said on Wednesday he was "deeply concerned about the growing risks of a humanitarian catastrophe in the event of a full-scale military operation in Idlib". 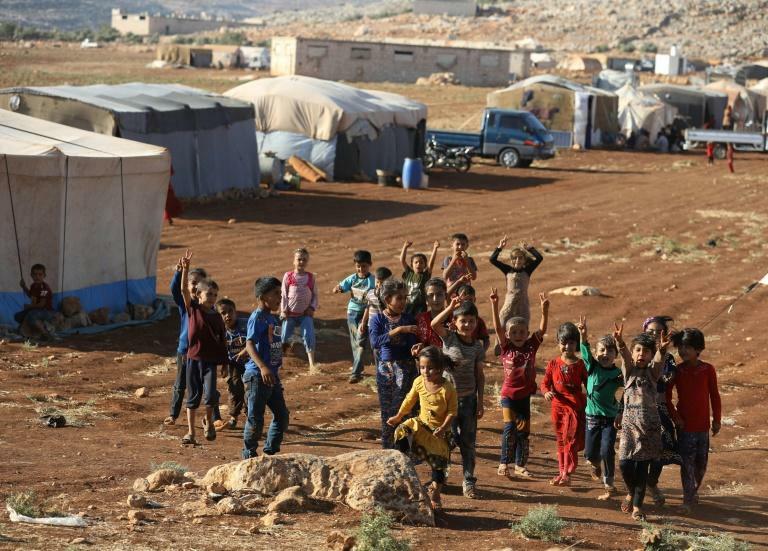 "A worst-case scenario in Idlib will overwhelm capacities and has the potential to create a humanitarian emergency at a scale not yet seen through this crisis," John Ging, who heads operations and advocacy for the UN's humanitarian coordination office told the Security Council this week. Moscow and Ankara are in talks to try to thrash out a solution that would spare the three million people living in rebel territory. They include tens of thousands of rebels and civilians evacuated to Idlib from other areas recaptured by government troops. In the first six months of this year, there were 38 attacks on medical infrastructure in the province, most of them blamed on the government or its Russian ally, according to OCHA. 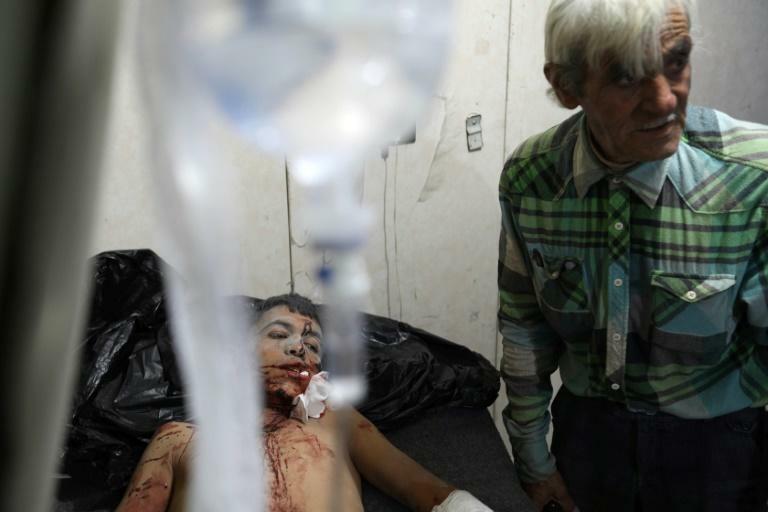 The World Health Organisation warned that less than half of Idlib's health facilities were still functioning "across areas that may soon witness increased violence." "The remaining facilities are neither properly equipped nor prepared for a massive influx of patients," said Pawel Krzysiek, spokesman for the International Committee of the Red Cross in Syria. "Any offensive will make an already precarious situation even worse," he told AFP. In the event of a chemical attack on the densely populated province, hospitals will likely struggle to cope. Western powers have warned Syrian troops could use toxic substances against the civilian population as they seek to recapture Idlib. Earlier this year, the UN began sharing the GPS coordinates of health facilities with Russia and the United States in a bid to protect them but four have been struck since. The UN and humanitarian groups are also deeply worried about the food, medicine and other aid they truck in through the Bab al-Hawa and Bab al-Salam crossings to some two million people in need in Idlib and adjacent areas. "Cross-border operations provided a lifeline for civilians in regard to food supplies and other daily life products needed," said Krzysiek. "If border crossings with Turkey are to shut down, hundreds of thousands of people will be affected." Aid operations could also be disrupted if key staff are caught up in the offensive, said OCHA's spokeswoman in Damascus, Linda Tom. "The potential displacement of humanitarian staff would further contribute to gaps in the response," she told AFP. The question, aid groups have warned, is where to. Turkey already hosts more than three million Syrian refugees and since 2015 has kept its border sealed to any more. An uptick in violence is likely to push residents to the frontier en masse in the hope that Syrian and Russian warplanes will not strike there. "People from Aleppo, Eastern Ghouta, Homs, Daraa -- they used to be brought to Idlib," said Zedoun Alzoubi, who heads the Union of Medical Care and Relief Organisations. Those areas were handed over to government forces in surrender deals, with tens of thousands of opposition fighters and civilians bussed to Idlib. "But now people who are in Idlib -- where to go?" asked Alzoubi. "Idlib doesn't have another Idlib."